The warm water, calm mellow waves and beautiful scenery make our surf trips an ideal setting for learning how to surf. The locations we choose are carefully selected and are a perfect option for guests who want to learn on uncrowded beaches. Our sessions with fully certified coaches will focus on improving intermediate surfers skills by riding long, green and clean waves. The group sessions have a maximum of 1:4 Instructor to Guest ratio. This is in order to ensure a quality session is provided so our guests get the most out of their surf experience. Transportation to the surf break, surfboard, rash guard or wet-suit and instructed session by certified coaches. If you would like to mix it up a bit and venture out with a SUP or sea kayak for the day, we have guided adventures ideal for visiting other locations on Ikaria off the beaten track! 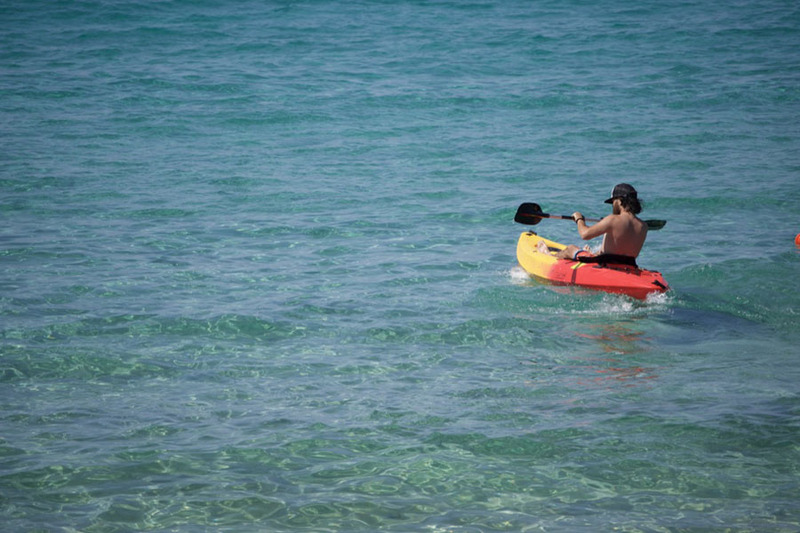 After taking a 30 to 50 minute drive to other places of Ikaria you will head out for SUPing & sea kayaking on an island adventure. This trip will take out our group visiting uncrowded secret beaches. 5 hours, approximately 2 hours of travel time and setting up. The remaining time is spent on a guided tour exploring with your choice of SUP or sea kayak. Transportation, snorkeling equipment, SUP boards or sea kayak rental and a guide.